Contest Winners and Happy Holidays! It’s the post that we have been eagerly waiting for… the giveaway winners! I’m pleased to say that there was a huge turn out for this giveaway with over 2000 entries between comments, email subscribers, GreatCanadianRebate members and link backs. Many thanks to our sponsors (see below) for making this giveaway interesting. As I mentioned in the giveaway post, Killing Sacred Cows was very popular among readers with the largest number of contest entries for any book review that I’ve written about. I personally enjoyed this book and still find myself flipping through it on occasion. After drawing random entries, a free copy of this book goes to… coolwhip715! 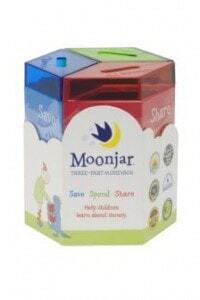 The owner of Moonjar Canada has generously offered a free Moonjar for this giveaway which goes to… Joshua Collings! I have mentioned INO Stock Trading TV a few times on this blog. They offer educational online videos that teach you stock trading strategies and secrets. As some of you know already, they provide a free version of their service with 4 videos from their collection. Their full INO TV Premium membership provides hundreds of videos from super star traders. The winner of the free annual INO TV membership is.. BigDawgPerkins. Great Canadian Rebates has generously offered a $100 gift card for Million Dollar Journey Readers. For those of you who don’t know about Great Canadian Rebates, it’s a free portal for online shopping that will allow you to receive cash back on your online purchases. If you use this portal in conjunction with a cash back credit card, you can end up with a significant discount on your purchases. Check out my Great Canadian Rebates review to learn more about them. Note that they are currently offering 6% cash back on Chapters.ca purchases. So what exactly are they offering as a prize? They are giving away a $100 gift card for one of the stores: Amazon, Sears, Chapters, Canadian Tire and The Shopping Channel. The winner of the gift card is… JayChowFan! Derek, the entrepreneur behind Price Canada, has once again generously offered to sponsor a great prize. What is Price Canada? It’s a web portal that will do all the comparison shopping for you! Simply type in the item that you are shopping for, and their search engine will come up with various stores offering the product that you are looking for with their current pricing. Who’s the winner of this pocket sized camera? Vilkri! Congrats to all the winners and I hope that you all enjoy the rest of the holidays. As I mentioned earlier, I will be taking the next couple days off but there will be a great post ready for Monday. Happy holidays to you, your family and your readers. May all your portfolio rebound and your financial and personal dreams come true. Merry X’mas and Happy New Year ! Rats! No Moonjar for me again. Next year for sure. Congratulations to all the winners and a big thanks to Million Dollar Journey. Darn it, I always these contests. Happy New Year everybody!